Zamora Chinchipe has been one of the provinces most affected by the country’s mining industry. It is located in the Condor Mountain Range (Cordillera del Condor), home to several indigenous communities, an area particularly rich in biodiversity, surrounded by dense cloud forest. But the region is also rich in minerals, where small-scale gold miners and Ecuador’s largest open pit mines operate. This includes the Chinese-owned Mirador copper mine, the region’s first open pit mine. “They’re still in the construction phase and the environmental impacts are very severe,” Carlos Mazabanda, Amazon Watch’s Ecuador Field Coordinator, told Al Jazeera. More than 1,200 hectares of primary forest were clear cut for the mine, which has affected rivers, aquatic life and indigenous communities’ access to water, he added. “That’s why [the march] left from this region, demanding that more projects like this not be developed,” Mazabanda said. 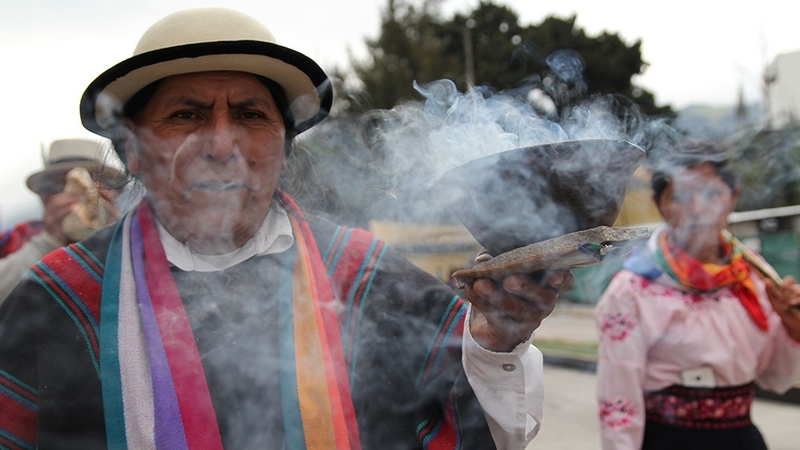 Tension between indigenous communities and the mining industry in the Cordillera del Condor reached a peak in 2016, when the Ecuadorian army evicted the Shuar community from the town of Nankits to make way for the San Carlos Panantza open pit copper mine. The community tried several times to retake the territory, which ended in an aggressive standoff with authorities and the death of one police officer. 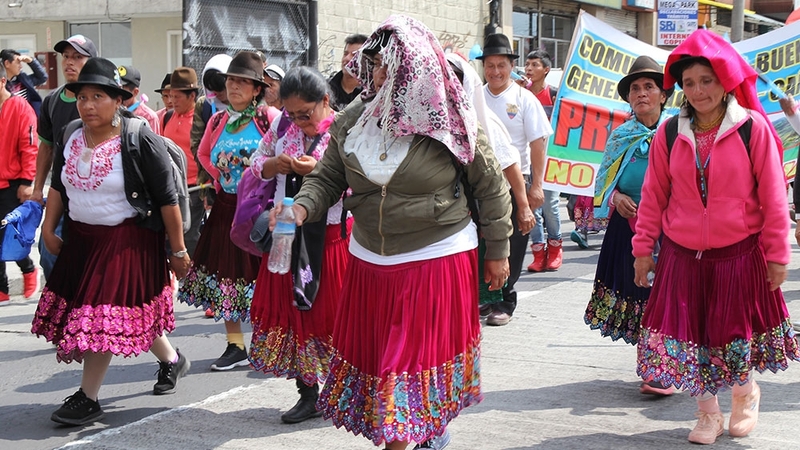 The former government of Rafael Correa responded by calling the indigenous resistors “terrorists” and putting them on a blacklist, but they have since been removed. The Chinese-owned mine is currently under development. “It’s been really hard at times … more than anything because the government doesn’t listen to us, and some of us don’t have a place to live. We’ve have to leave our homes because of mining projects,” Alexandra said. 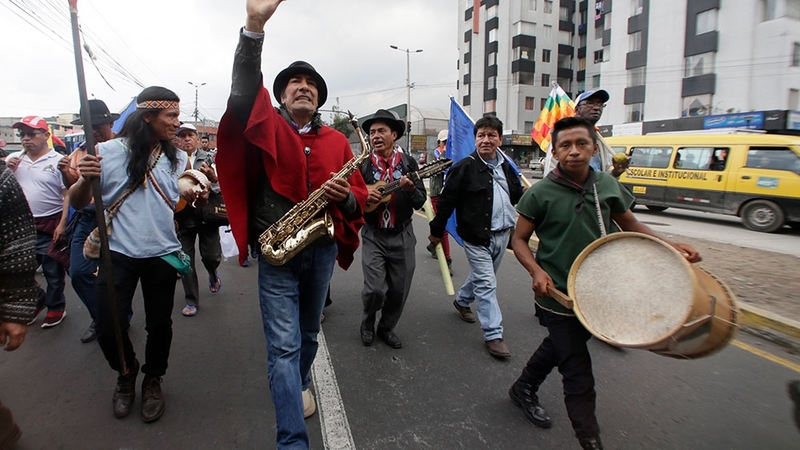 Both initiatives, according to the government, are meant to boost Ecuador’s economy, which is still struggling since the drop of international oil prices in 2014 that also caused major divestment in its oil industry. 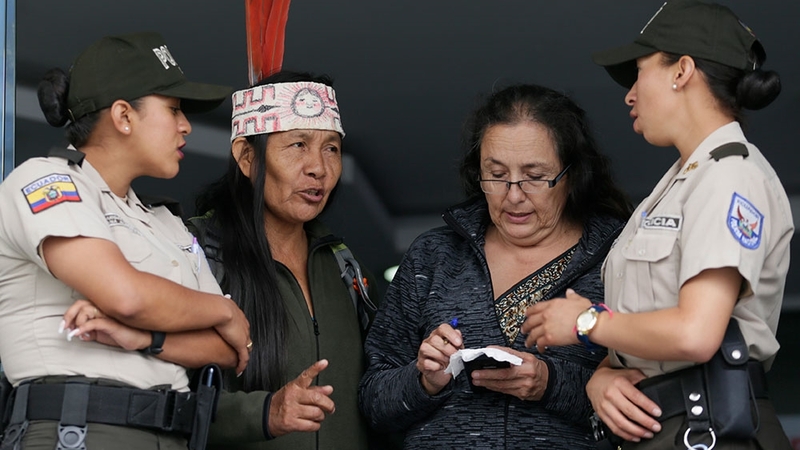 Juan Pizar, a Kichwa protester from the southern province of Canar, said land near his community of Tambo has been concessioned, but the group was not consulted. “We don’t want it,” he told Al Jazeera. “Oil will remain under the ground because we want to protect human life. Let’s all go out to defend life,” wrote Gloria Ushigua, one of the occupiers from the Zapara nation, on her facebook page while inside the ministry.